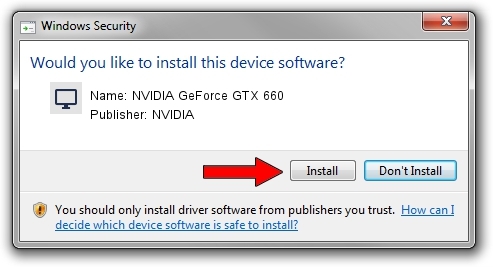 You can download from the link below the driver installer file for the NVIDIA NVIDIA GeForce GTX 660 driver. 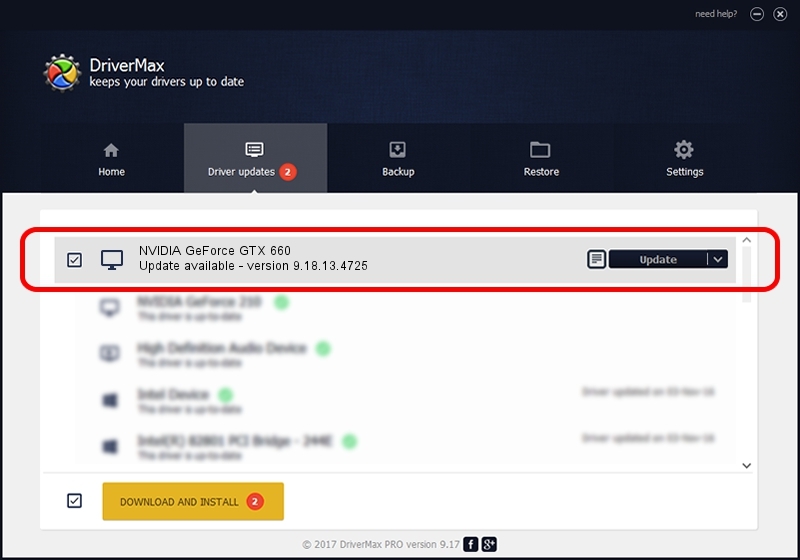 The archive contains version 9.18.13.4725 dated 2015-01-09 of the driver. This driver received an average rating of 3.6 stars out of 69721 votes.